Programs itself? Yes. Then pays for itself? Absolutely. 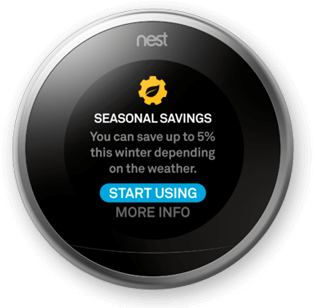 The Nest Thermostat automatically adapts to your life and as the seasons change. All it takes is one week of use and it programs itself! The little leaf icon? The Leaf learns how to help you save money, so it appears at different temperatures for different households. Remember, it adapts to your usage. One of the best things about nest? It shows you how much energy is being used each day in the Energy History and every month in the Home Report. After it shows you that data, it also shows you how to use less during peak times. Nest Protect has an industrial-grade smoke sensor, tests itself automatically, and lasts up to a decade. It has a friendly human voice that warns you about smoke before it becomes a fire. 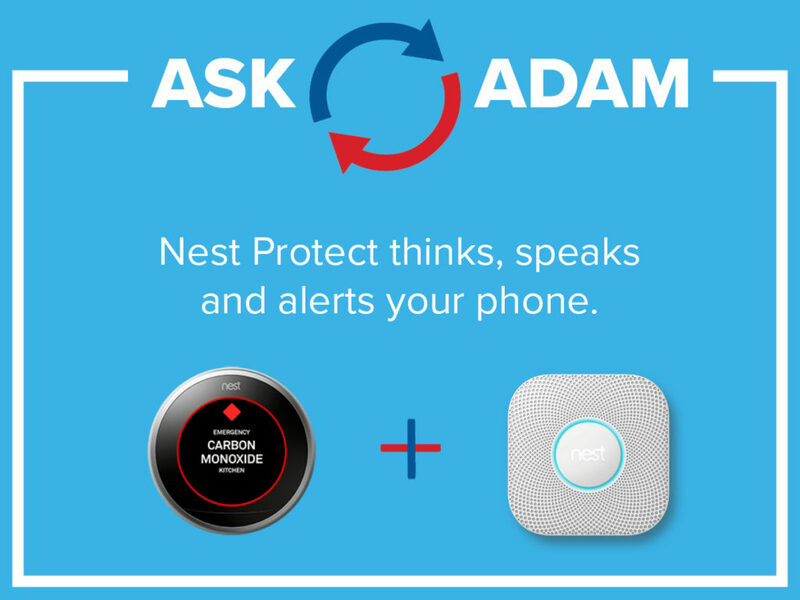 A Nest Protect in one room can tell you what’s happening in another room. So if you’re in a bedroom, it will let you know about the fire in the kitchen. Not only does it warn you directly from the ceiling but it also warns you from your phone. You can silence the alarm from your phone once you know of the situation. It will also send alerts to your phone if no one is home. If the battery is low it won’t beep the entire night. It will let you know by a dimming the light ring on the device and send an alert to your phone. You can also test your alarms with one click and each family member can have their own account on your phone. You can also connect either your Google Assistant or Amazon Alexa to your Nest family! Use voice controls to ask questions, change the temperature, and if you have a Nest camera, also control that. Learn how to connect your Nest products with either device. Nest products work as a team. They work to keep you safe and comfortable. 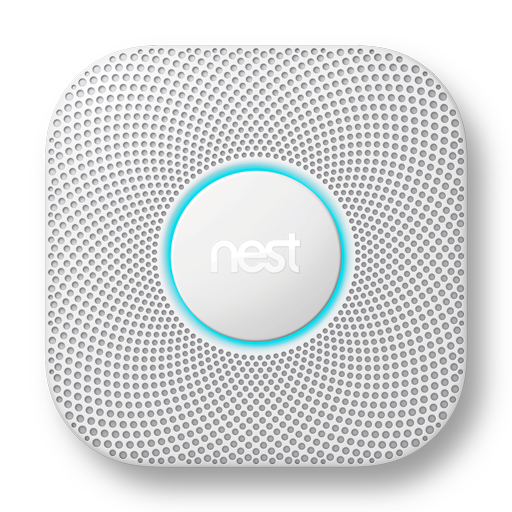 In emergencies, Nest Protect tells your Nest Thermostat to turn off the heat when it senses carbon monoxide leaks or when there is smoke. Nest Protect and Nest Thermostat prevents dangers from spreading. 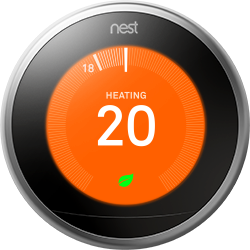 We install and configure Nest thermostats! Call us today at 815-220-5125 or fill out the contact form!